I am loving the trend of using engagement photos in guestbooks! I feel like often people aren’t sure what to do with their images…I mean, you can only frame so many prints before your home is overrun, right? 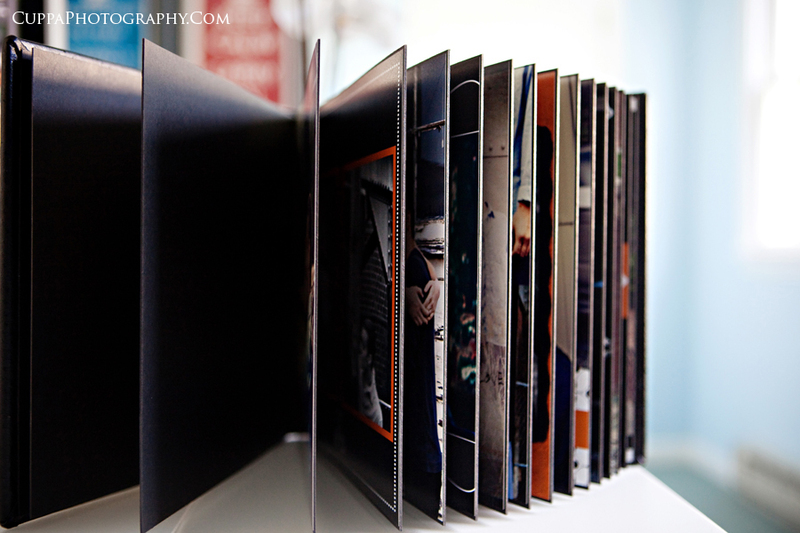 So to create a book or album out of your favorites is a perfect alternative! And I think it is even better when, every time you open your album to check out your engagement photos, you are also reminded of the well-wishes of your family and friends on your wedding day! Rather than having a little lined notebook filled with mere signatures of attendees (that you are highly unlikely to open and look at very often), a photo guestbook combines the idea of photo album with blank pages that will encourage your guests to leave more than just their names! 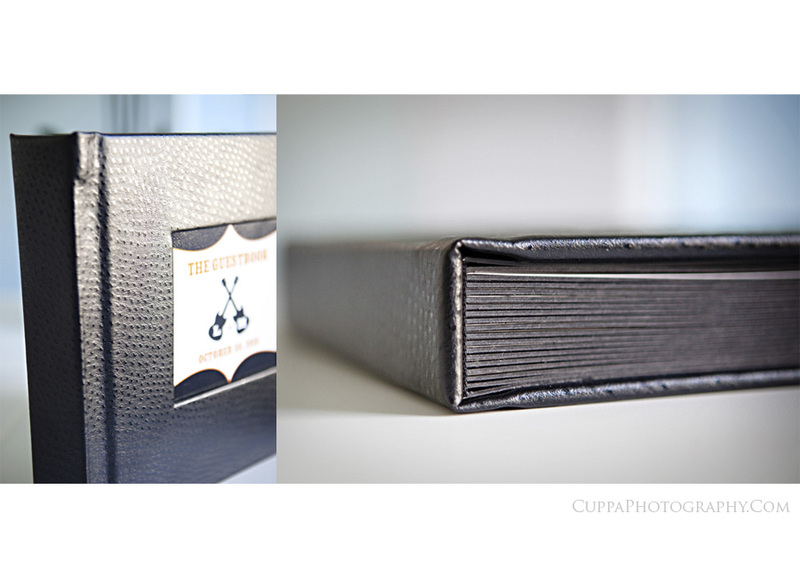 I offer three styles of guestbooks: the coffee table book with magazine-style pages; the album guestbook with thick pages styled to match your wedding album; and the Japanese bookbinding fabric album with self-mount style pages. 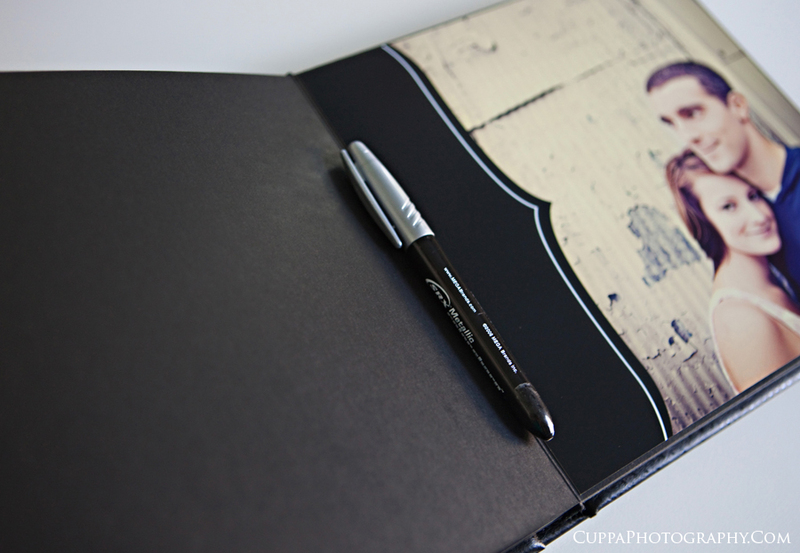 Louie and Mary Elisa chose to go with an album-style guestbook that will match their wedding album! As you might recall from their invitations, Mary Elisa and Louie are having a rock-n-roll wedding complete with its very own logo! 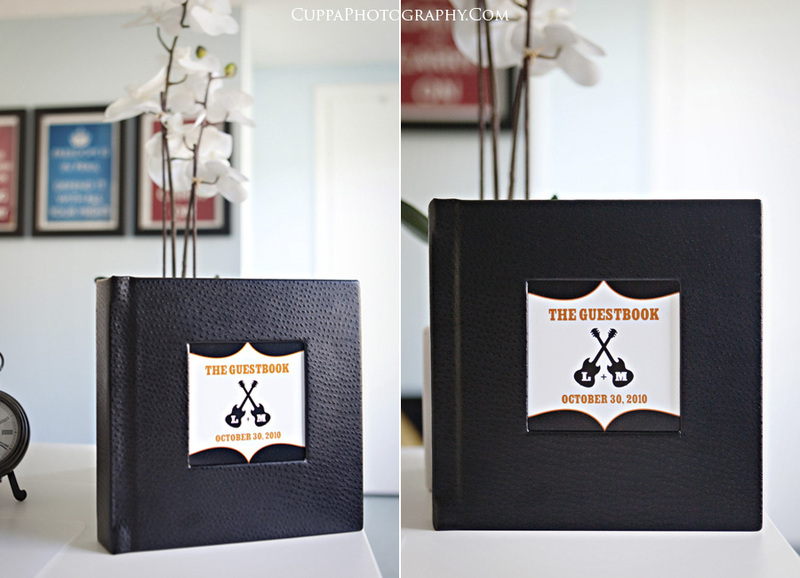 So, of COURSE, we had to incorporate their logo into their guestbook cover! This guestbook was so much fun to design!! 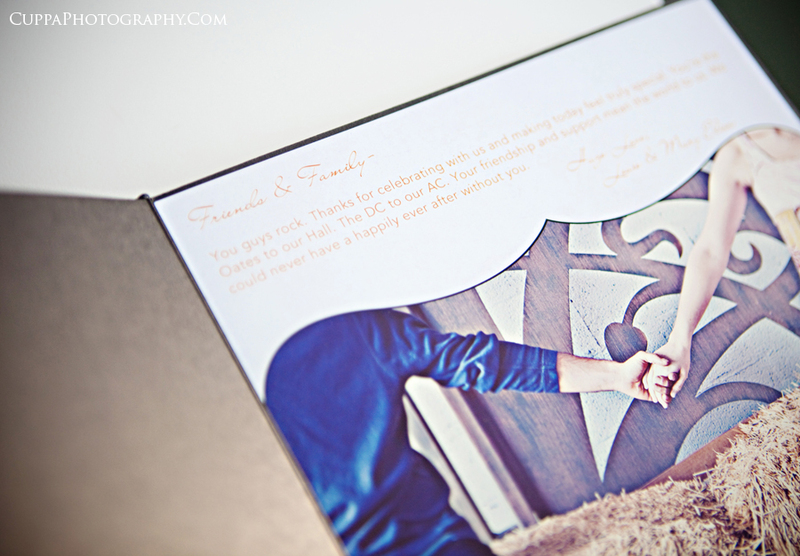 If you would like to find out more about guestbooks or other album/book offerings, send me an e-mail! I’d love to chat!